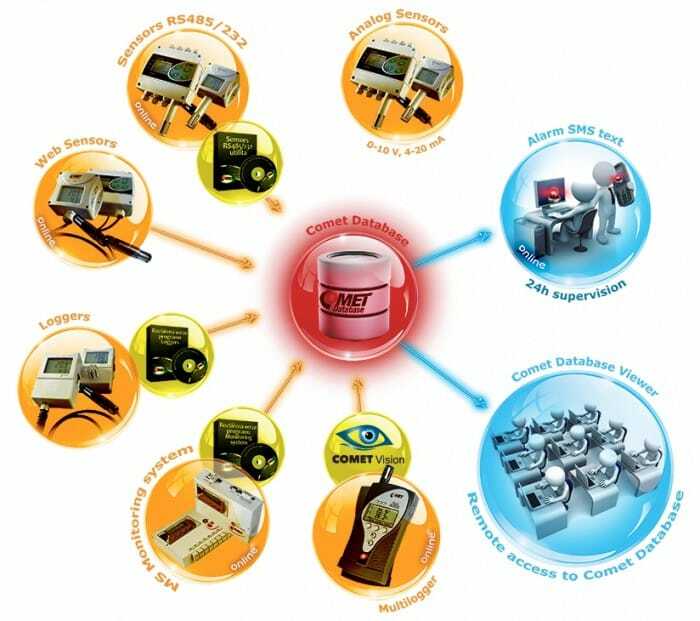 System for collecting, alarming and analysing of measured data from all COMET devices. Current version of COMET Database no longer supports MySQL server. Please use Microsoft MS SQL Server. As the replacement it is also possible to use free edition MS SQL Server Express. 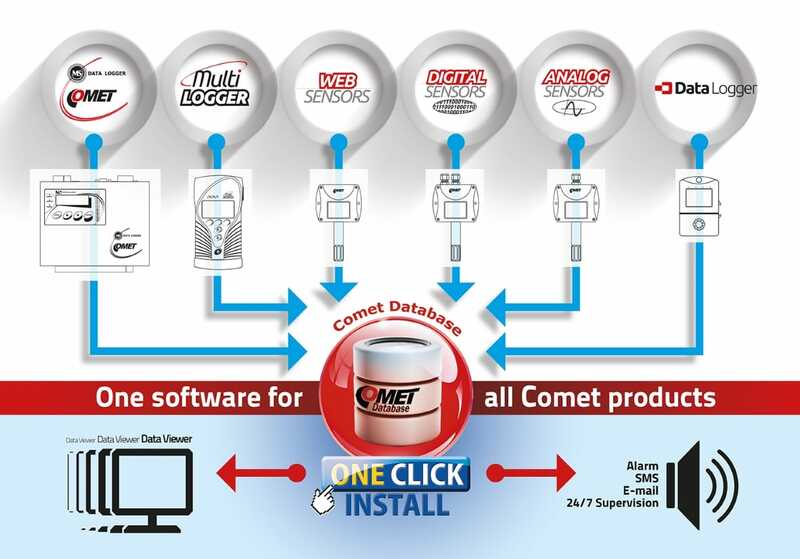 Try a free 30-day trial version of the COMET Database. 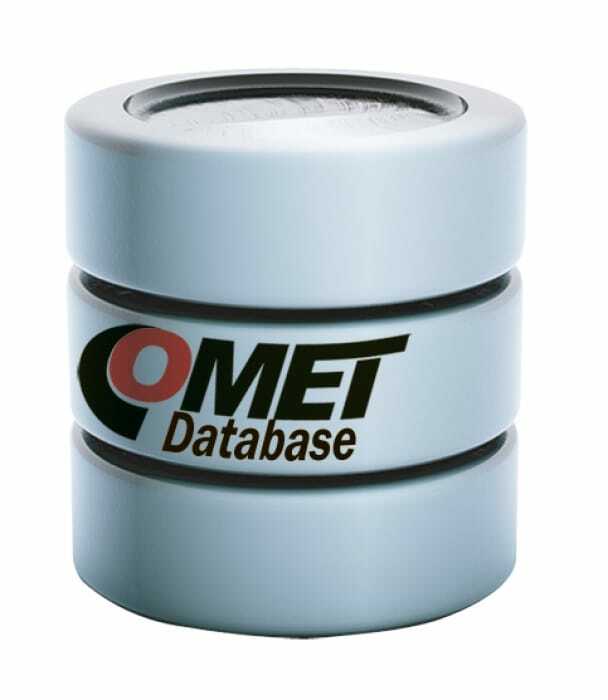 For users of COMET products is available software solution for data collection in one central database, based on MS SQL. 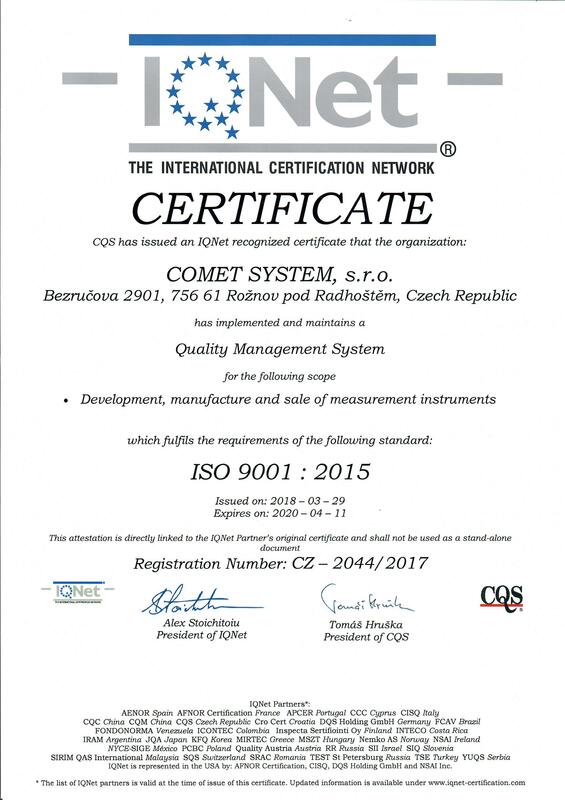 System is suitable for users, who need analyze data from COMET devices. 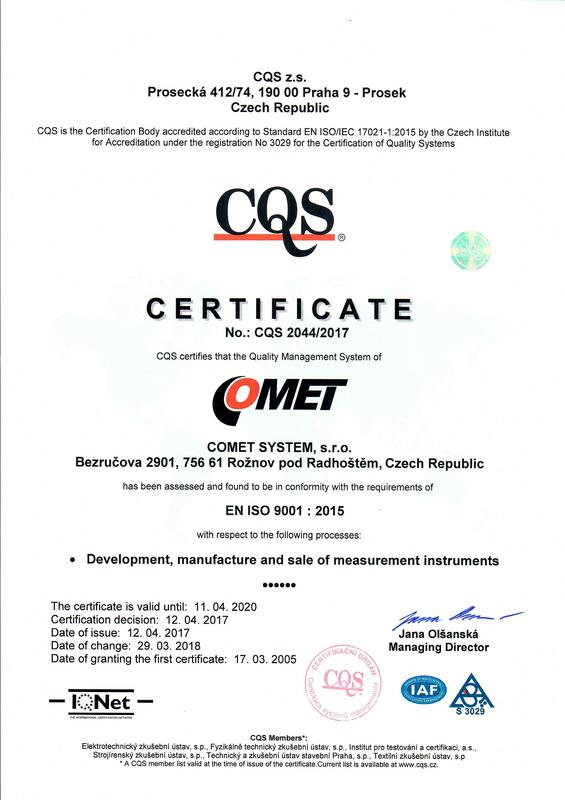 When do you need COMET Database? To present data in table and graph - known formats similar to table and graph in optional MS logger program. Presented are analog values, binary states, alarm states, channels named by the user etc. To save sets of selected channels. This simplifies work with viewer with repeated requests. Example: User frequently analyzes data from temperature and humidity channels from three data loggers. So user saves selected channels to set “temperature and humidity“. In the next comeback to this analysis user only uses proper set and selects time interval. The licence is not portable and can be used only on PC where was installed. The software on CD is sent on request, as an optional accessory.